After I install it, it sat at about 75mb mem usage. Trying to figure out the best options for squashfs. 32bit doesn't seem to compress as far. It's about 50mb bigger than the 64bit version. @V-ger, I came to the same conclusion. There is no logical or reproducible way to predict a successful outcome. So I'm just uploading the image now! @PackRat would you like me to the jwmrc to the existing thread? It doesn't seem to be happy about necro-posting. I necro post all the time in that subforum, no problem. Drive by post - last of 2016 (no promises though). testing a new key binding for the poor mans screenshooter script. 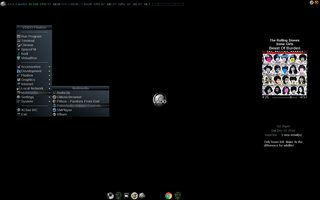 Kodi looks interesting. Is that content on your local media server, or can is stream remote content like pithos? 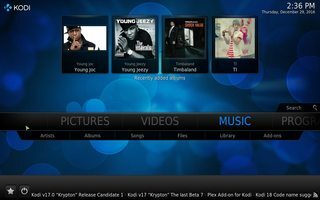 Kodi uses plugins to do everything and stream everything.. This guy from this site will give every bit of information you will ever need to install plugins.. his site is like the How To of How To's. Here he has the Top Ten Addons and how to install them ... of those I only use Exodus and 1Channel and Phoenix.. but there are literally thousands of plugins you can use for media and music from all over the globe.. Honestly I am stunned at how nice of a product Kodi is and highly recommend it to anyone..
Last of the year... basic but powerful VSIDO.. Thanks for continuing to develop VSIDO. ^ It's the journey, not the destination. Got tired of gtk+ messing up evince, and zathura is a bit too bloaty and vi-ish for just reading the occassional pdf so went back to basics with xpdf. Couple basic settings in ~/.Xresources and it's just fine. 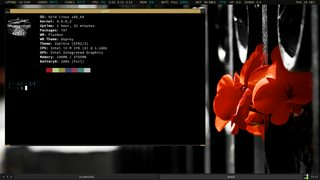 Xosview instead of conky.